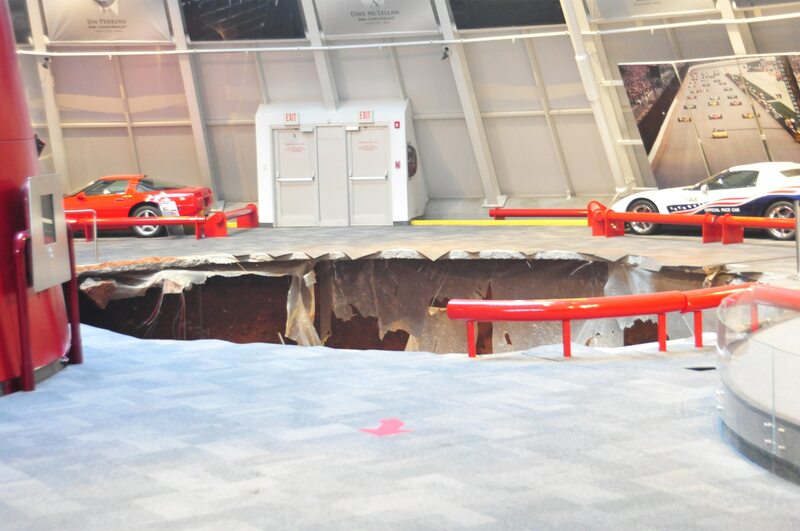 The National Corvette Museum confirmed this morning that a sinkhole swallowed eight of the cars in its collection. The sinkhole opened beneath the Bowling Green, Kentucky-based museum at 5:44 a.m. today. 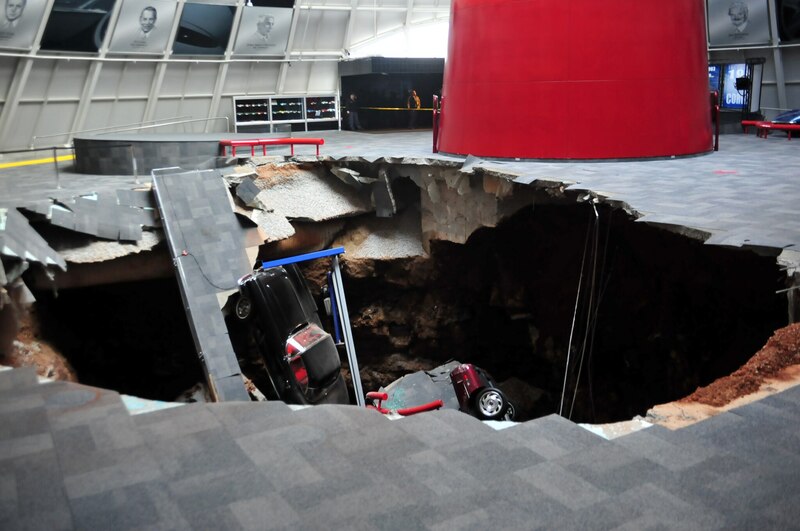 The sinkhole was located beneath the National Corvette Museum’s Skydome area, and affected six cars owned by the museum and two that were on loan to the museum from General Motors. The two from GM were a 1992 Chevrolet Corvette ZR-1 Spyder and a 2009 Chevrolet Corvette ZR1. Also affected were a black 1962 Corvette, a 1984 PPG pace car, a 1992 Corvette that was the one millionth ever produced, a 1993 40th Anniversary Corvette, a 2001 Mallet Hammer Corvette Z06, and a white 2009 model that was the 1.5 millionth Corvette ever produced. The National Corvette Museum said in a statement that it has closed the entire museum today. A structural engineer is evaluating the damage to the museum and determining whether there is any risk of further collapse. The National Corvette Museum, which celebrates its 20th anniversary this year, is home to more than 70 Chevrolet Corvettes and is located adjacent to the Bowling Green Assembly Plant that builds all new Chevrolet Corvette models. Images courtesy National Corvette Museum.